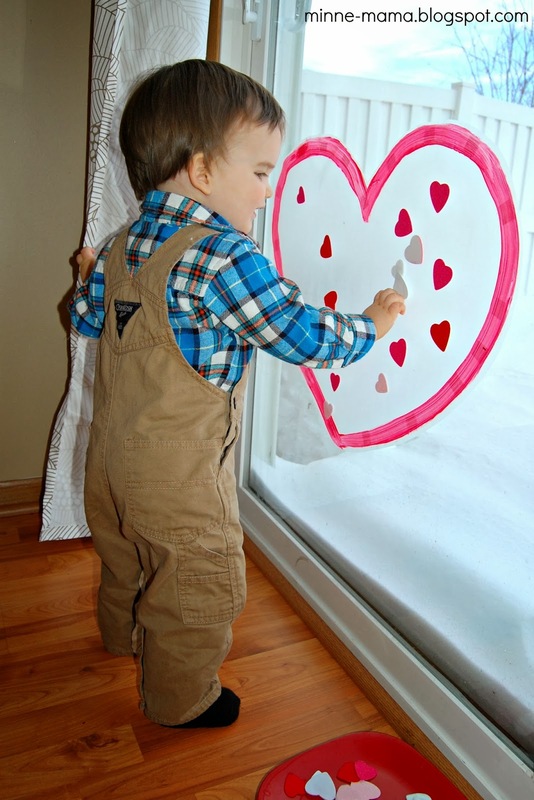 Since taking down our contact paper Christmas tree earlier this month, I have been planning on a big Valentine heart for our next play invitation. 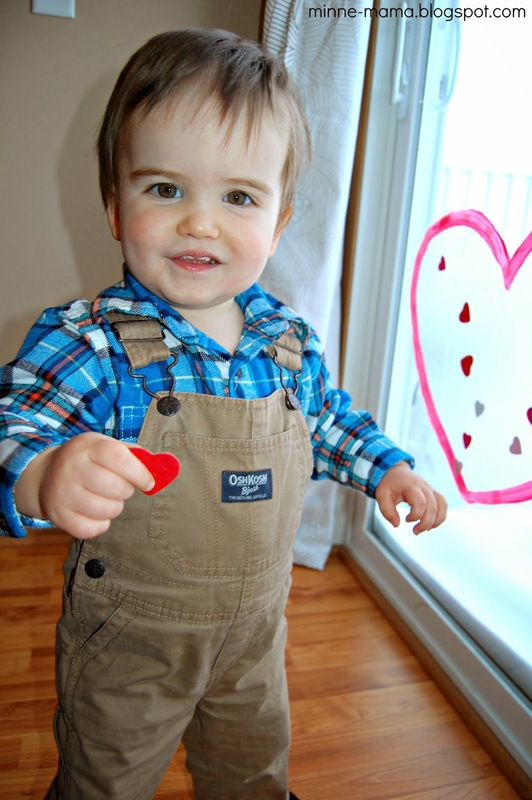 This contact paper heart was simple to make, and Skyler was excited to have a new contact paper shape to play with! 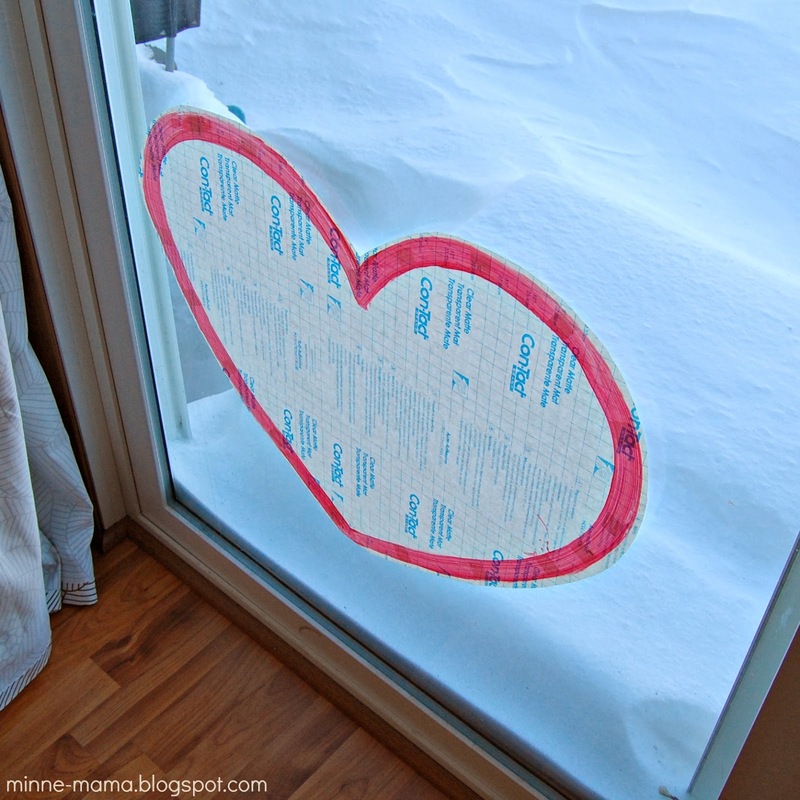 To make the heart shape, I measured out a piece of contact paper to fill the sliding glass door. 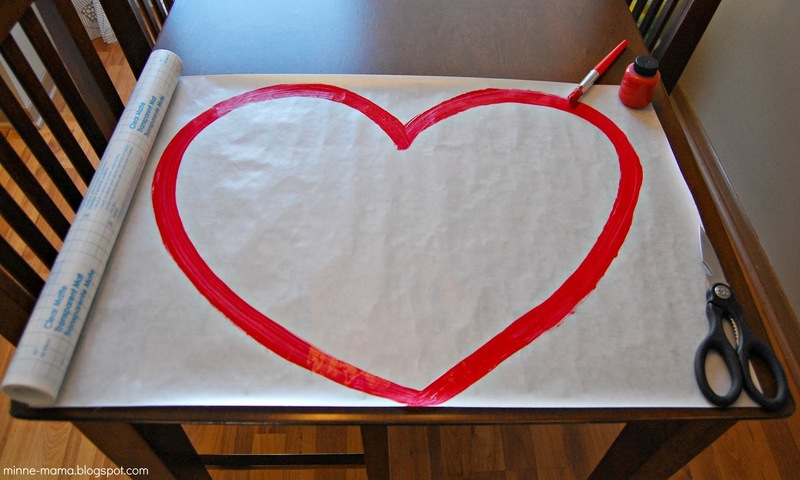 Then I used acrylic paint on the non-stick side and painted on a large heart outline. 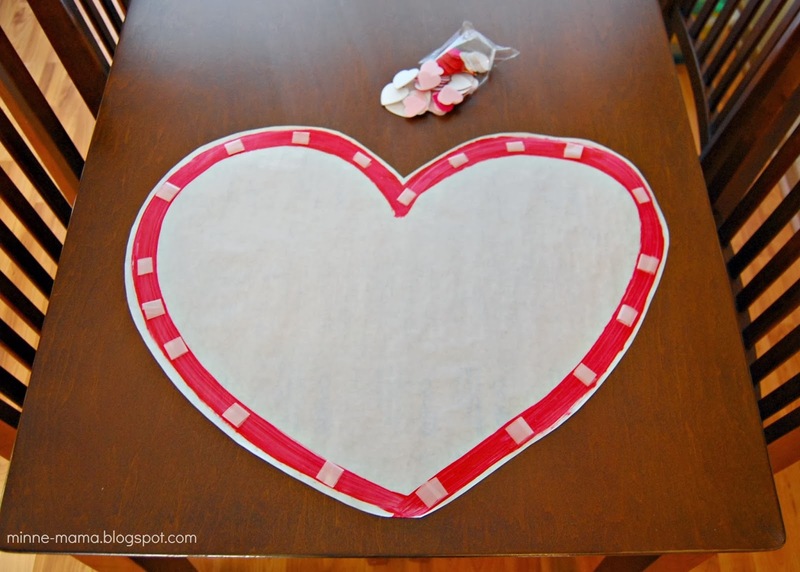 Once it dried, I cut out around the heart shape and added rounds of tape to the non-stick side. 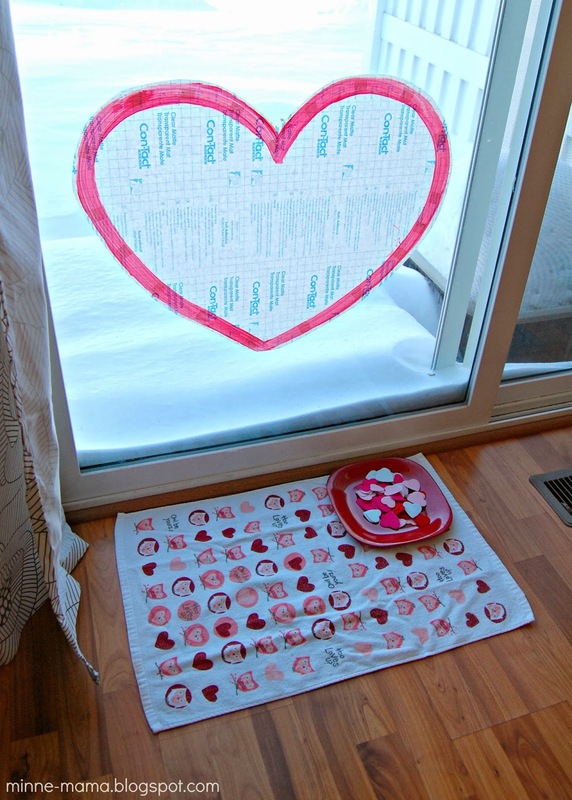 Using the non-stick side with the tape, I pressed the heart onto our sliding glass door. 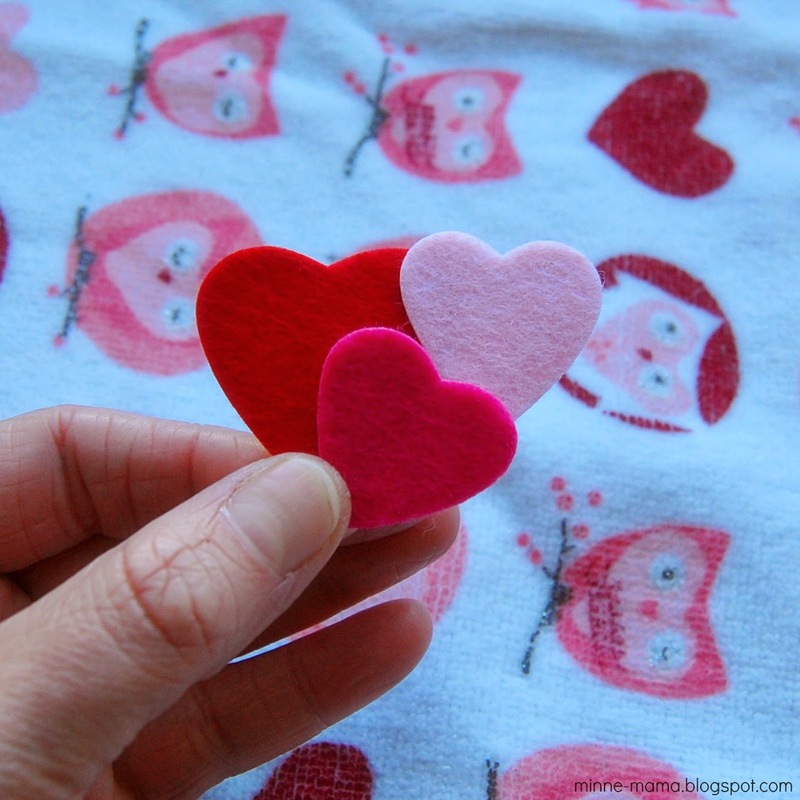 The invitation to play was completed with a cute Valentine towel (with owls on it, of course...I kind of love owls!) 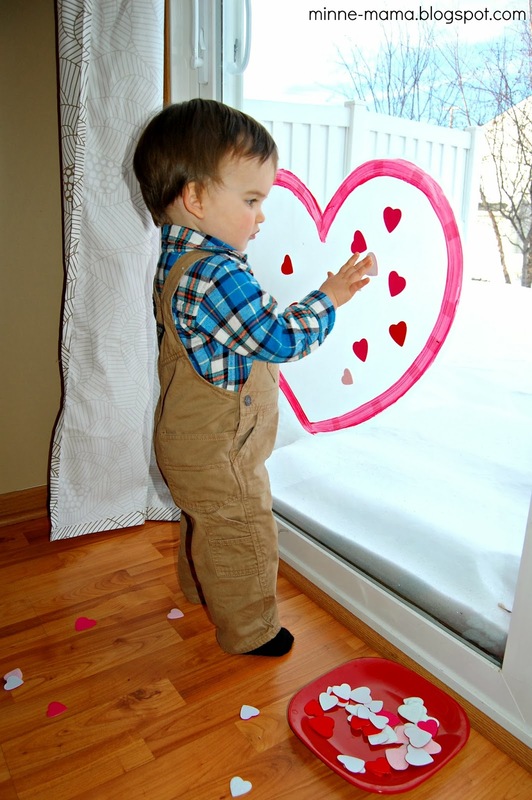 for Skyler to sit on, and some felt hearts (they have a sticky side, but we do not need to take that off to play, and can re-use them when we are done with the contact paper - they are the same ones I used to hang our coffee filter bunting). 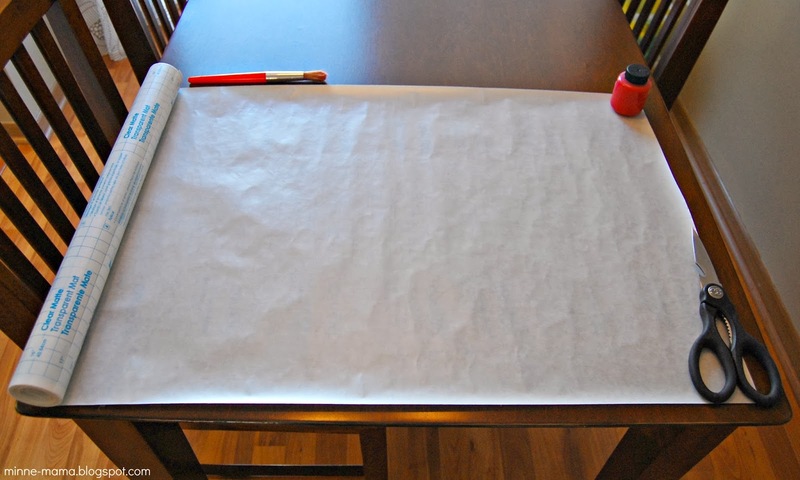 When we were ready to play, all I had to do was peel off the contact paper to reveal the sticky side. 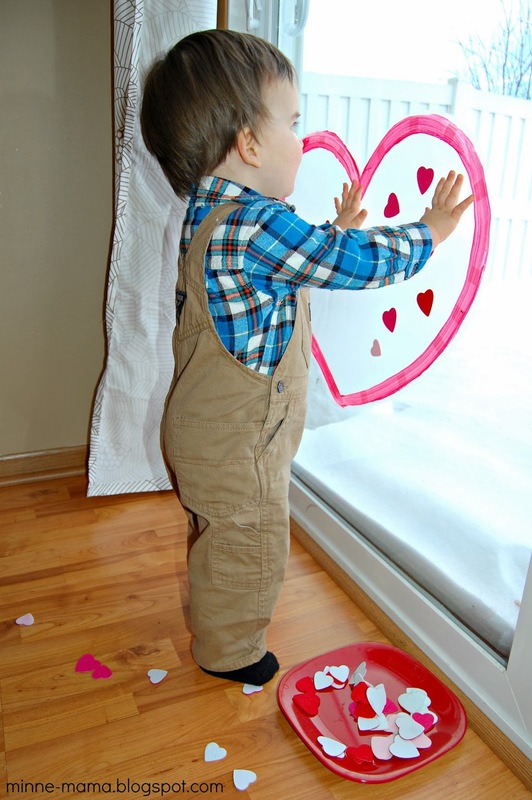 Skyler saw the heart shape when he woke up from his nap and ran over, very ready to play! 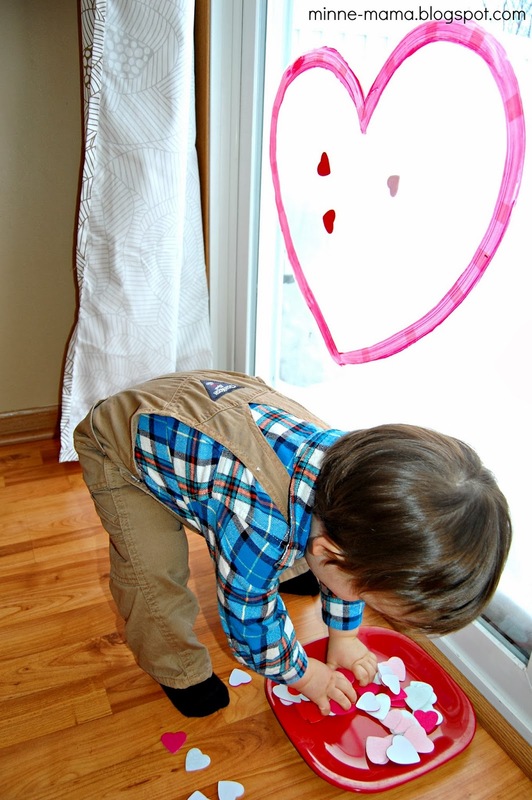 Just like our contact paper tree, Skyler loved this activity. 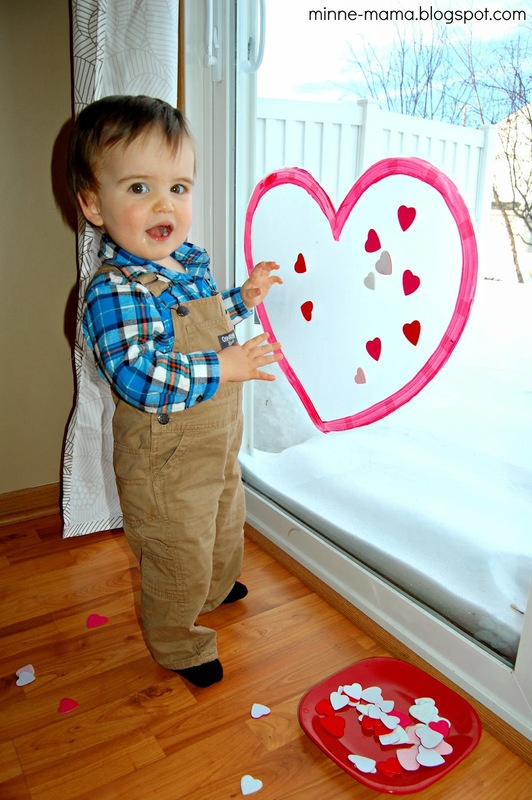 Feeling the sticky paper, picking out the hearts to put onto the contact paper, and being my little ham, as always! 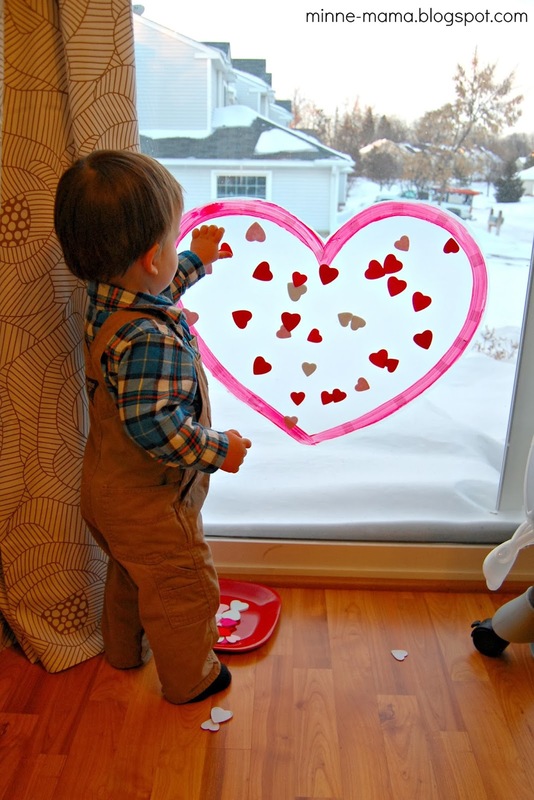 He likes to fill up the whole heart, take the little hearts off, and fill it back up! Skyler did such a wonderful job of filling the heart up today. 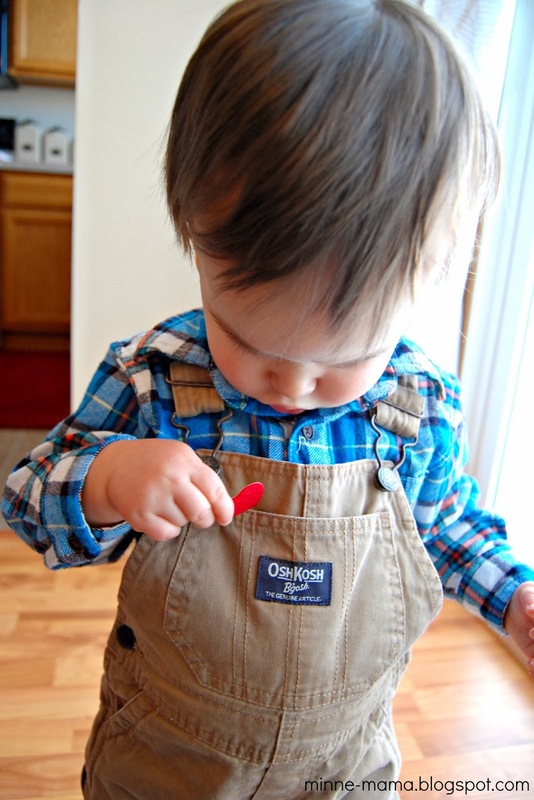 Baby boy only took a break because he got hungry and needed a snack :) I know our interactive decoration will get a lot of use in the next few weeks! Awesome! 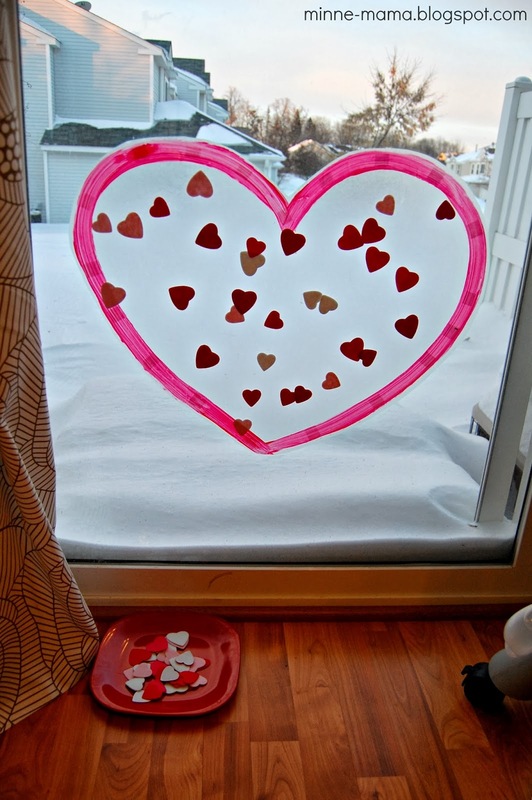 We will try this for Valentine's Day this year!